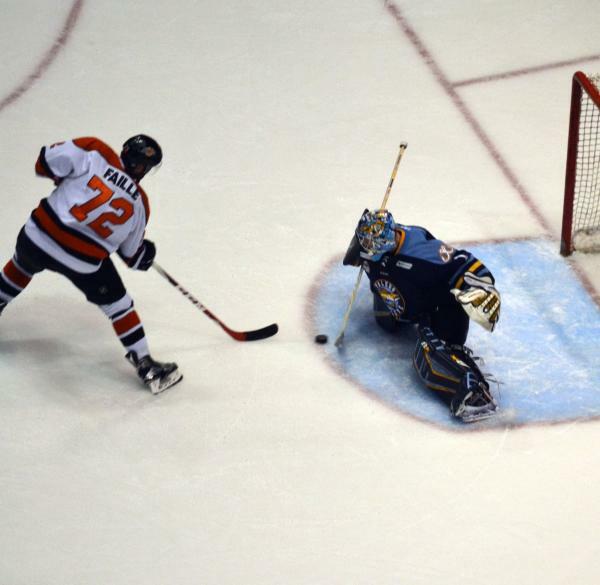 Brett Perlini scored first on a power play. 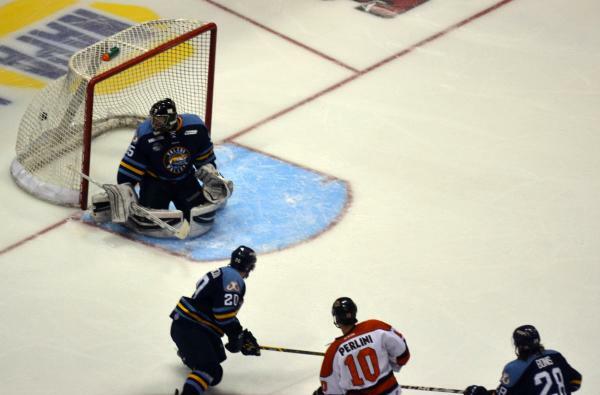 Then Toledo's Josh Holmstrom scored late in the period to tie it. An awesomely tough defenseman who won a Turner Cup with the Komets in 1963 and then tried for years to clobber them with Des Moines. Everybody's looking for James Martin's overtime shot. 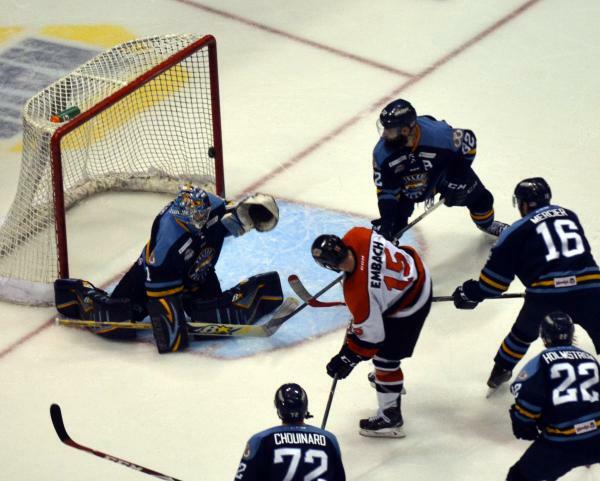 First, Toledo's Troy Schwab scored when two Komets forwards failed to pick him up. 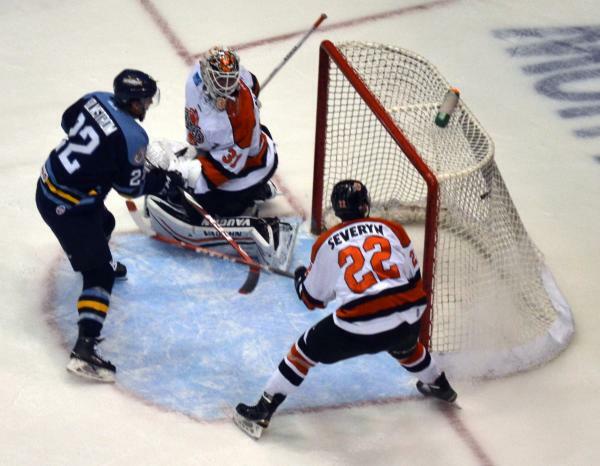 Then Mike Embach scored on a power play off a beautiful Garrett Meurs pass. Komets were out-shot in the first period 13-7, but I'd take that the rest of the game as long as Toledo keeps firing from long-range. Scoring chances were even in the first period, including this breakaway chance by Eric Faille that Jeff Lerg made the stop on. 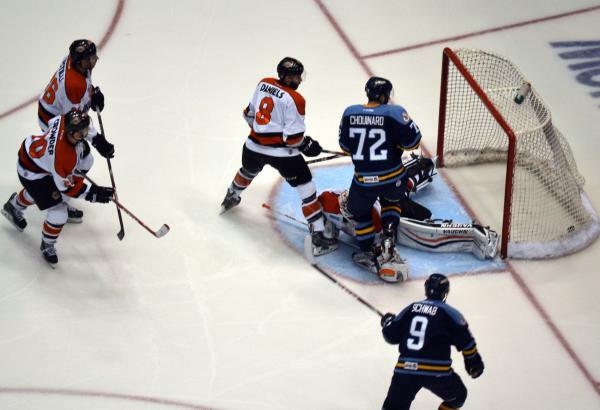 Komets have announced Shawn Szydlowski is out for the rest of the playoffs. Shows the Szydlowski and Heard hits. Thanks to Larry Schmitt for pointing it out. 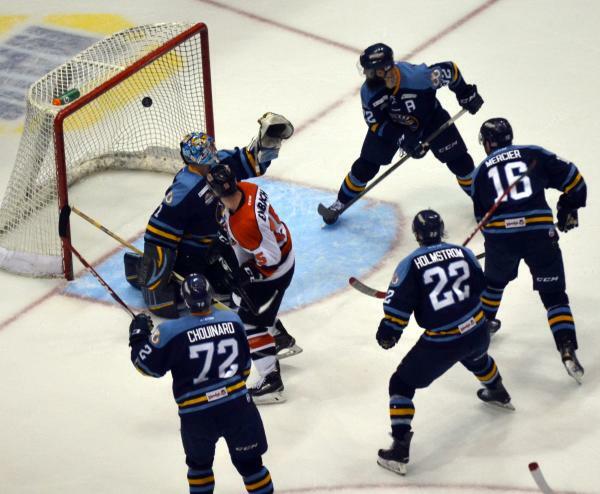 Komets coach Gary Graham announced this morning he is requesting a review from the ECHL on the hit involving Toledo's A.J. 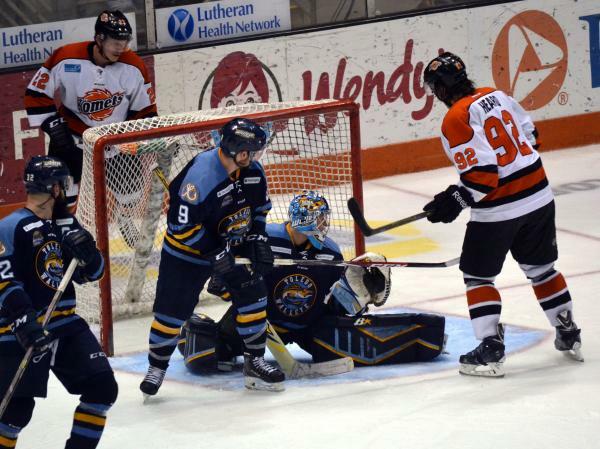 Jenks and the Komets' Shawn Szydlowski. "No doubt after review Jenks went knee-on-knee. Jenks never tried to play the puck. Clearly aggressor and therefore needs to be in total control of contact. 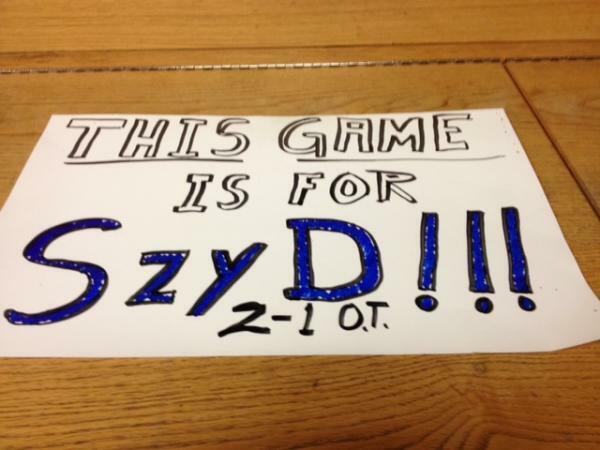 Szyd is reaching for puck, hands extended in defenseless position."